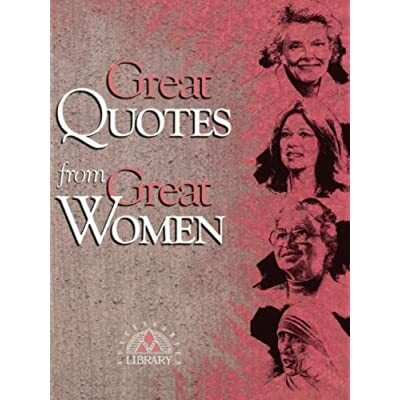 Women of all ages will appreciate and relish the thoughts, words, and advice offered in Great Quotes From Great Women. Some of the most recognizable and revolutionary women from Eleanor Roosevelt, Mother Teresa and Rosa Parks to Harriet Tubman, Katherine Hepburn, and Gloria Steinem - have influenced millions. Perfect for any woman, this delightful book, with black and white illustrations and short biographical sketches brings their statements to life.